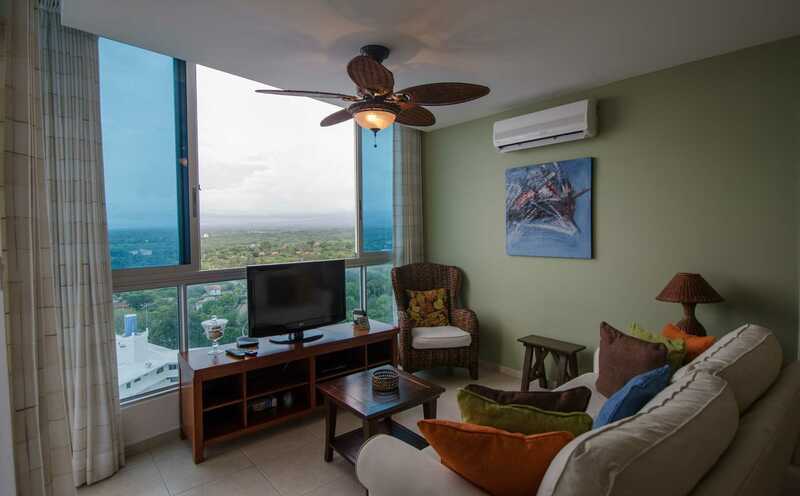 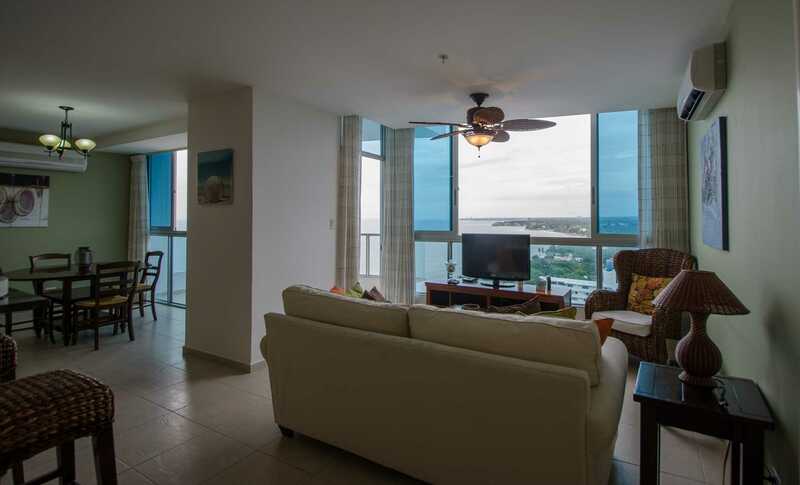 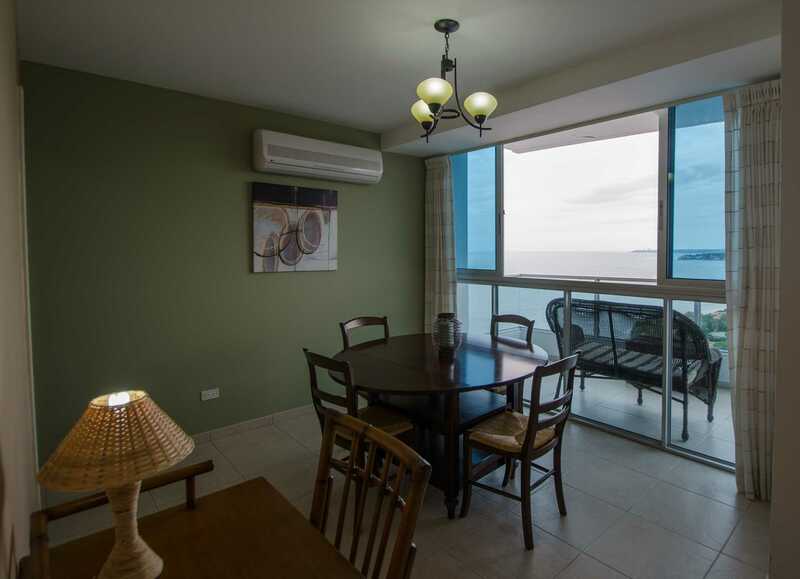 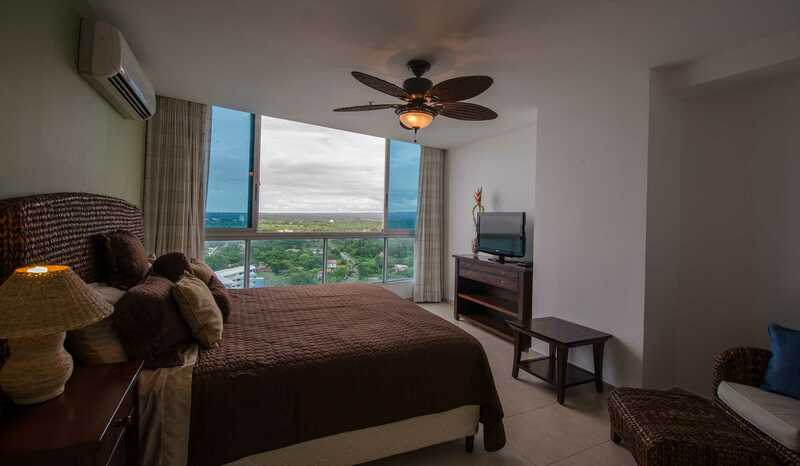 This fully furnished 18th floor ocean view unit, located in Coronado, one hour from Panama City, offers exclusive resort-style living with dramatic ocean views. 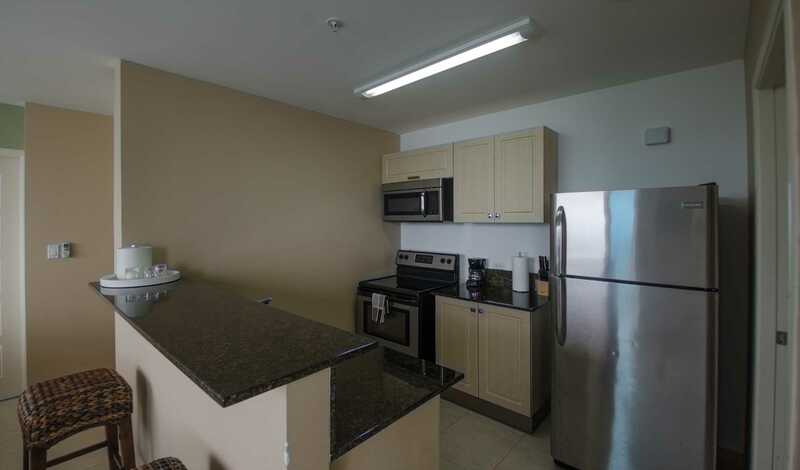 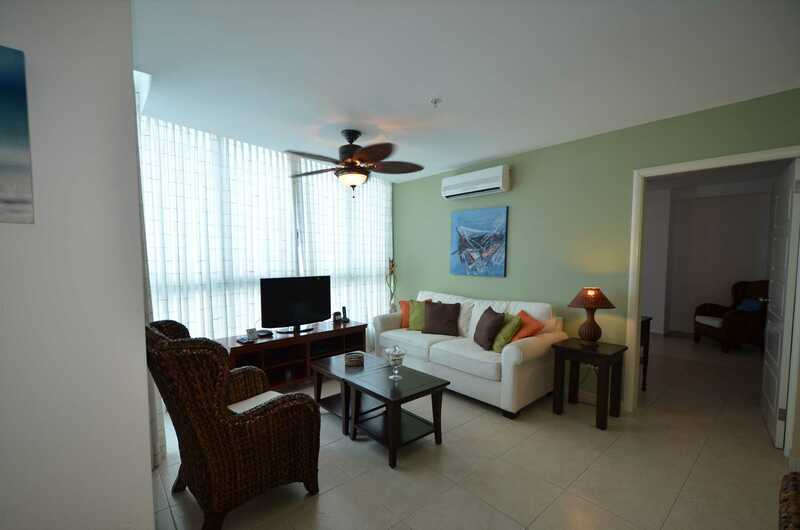 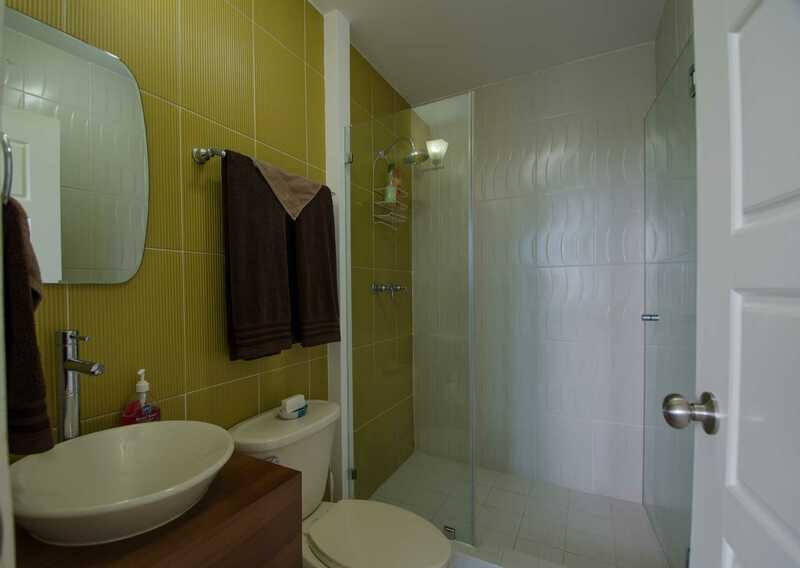 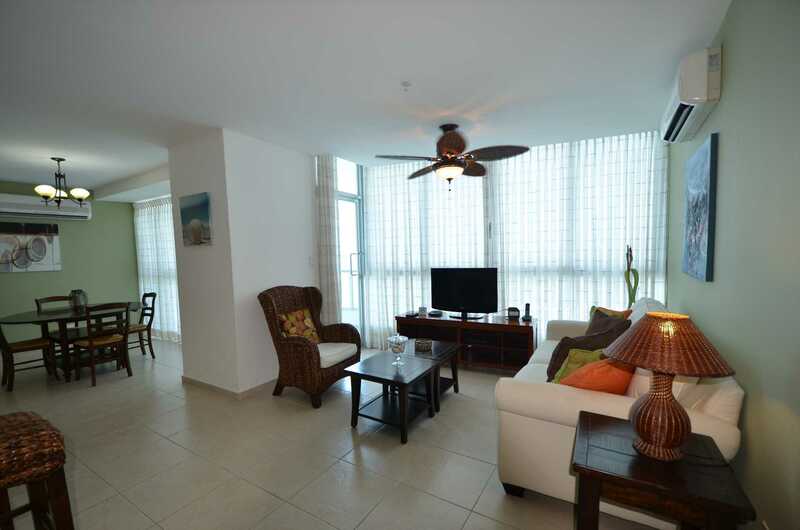 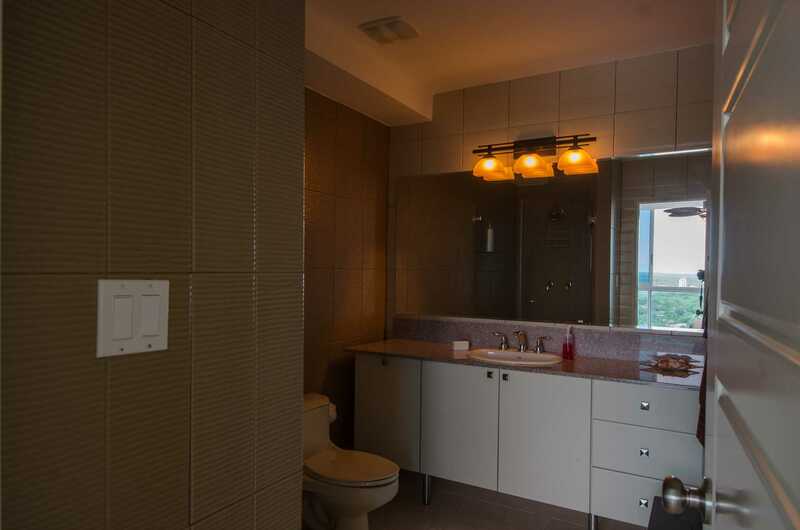 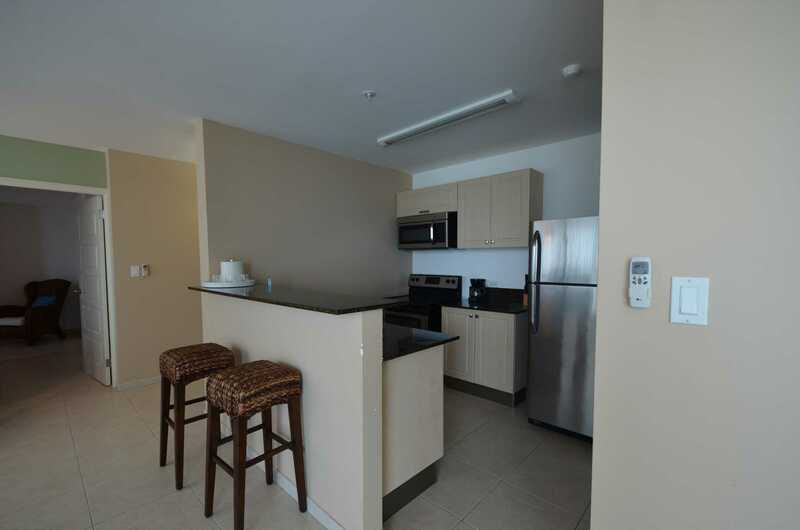 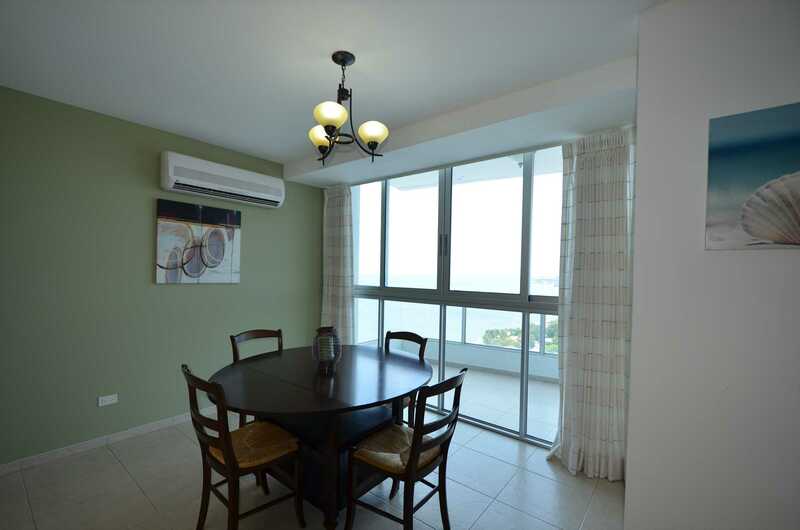 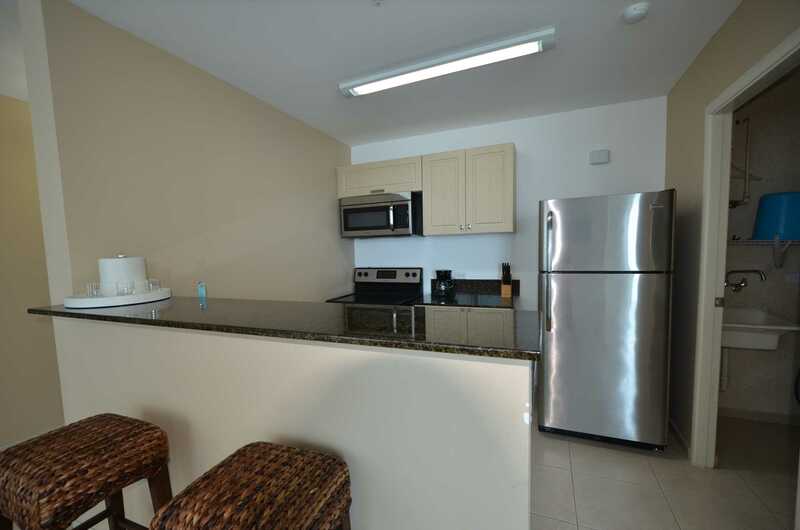 This is a spacious 1 bedroom condo with a king-sized bed, cable TV in the master and living area, full size kitchen and 2 bathrooms. 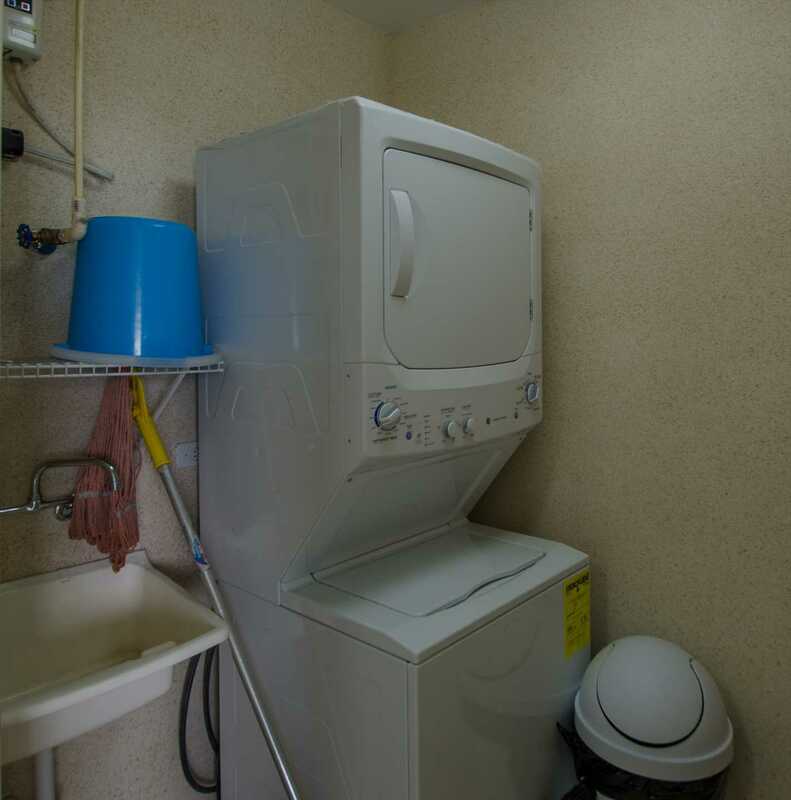 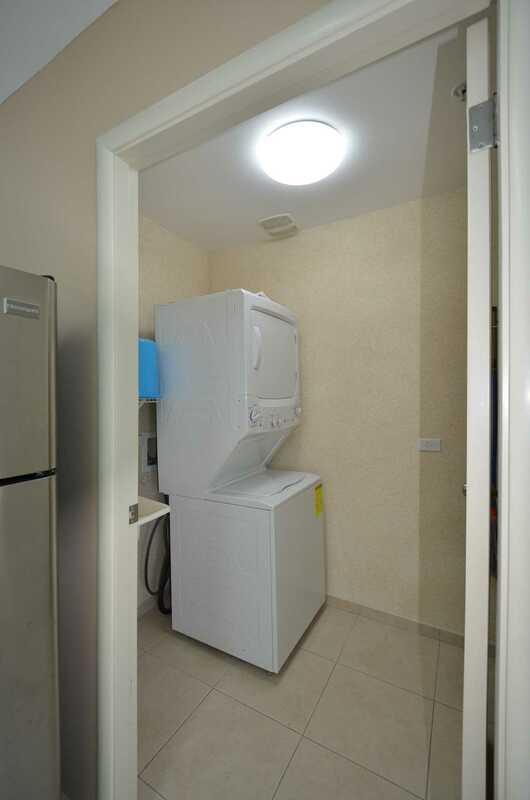 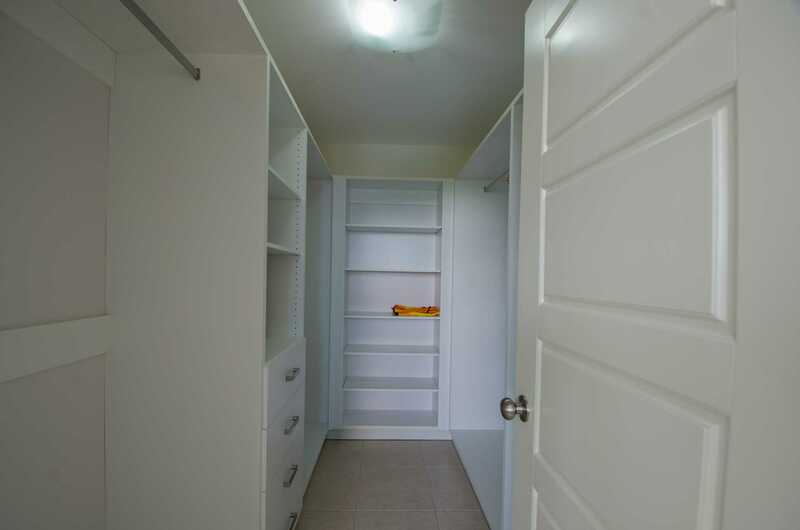 There is a utility room with a washer, dryer and basic cleaning supplies. 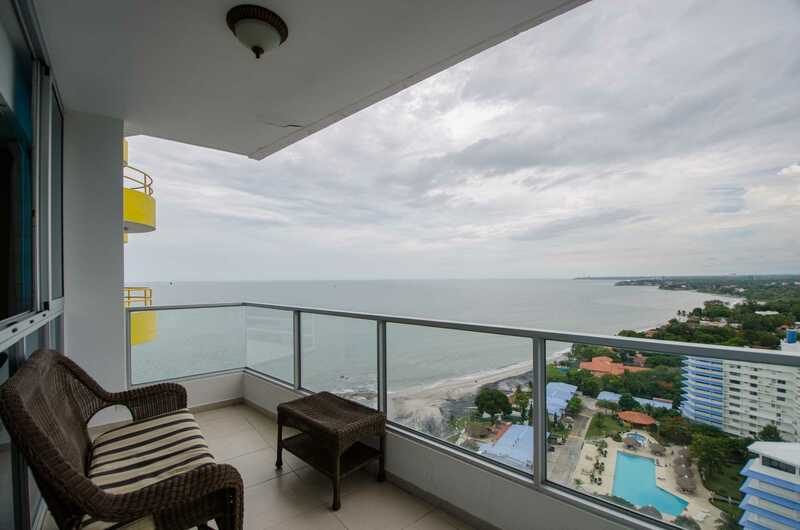 From the balcony you have a west side view of the Pacific Ocean from all windows.